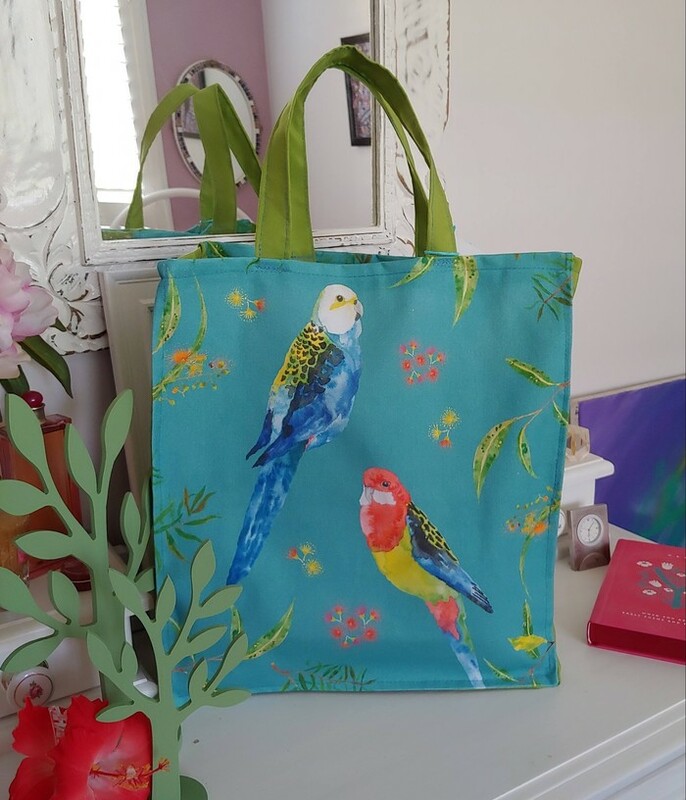 Quality handsewn canvas bag featuring Pink Cockatoo, Australian parrots, waratah flowers, gum blossom and leaves. 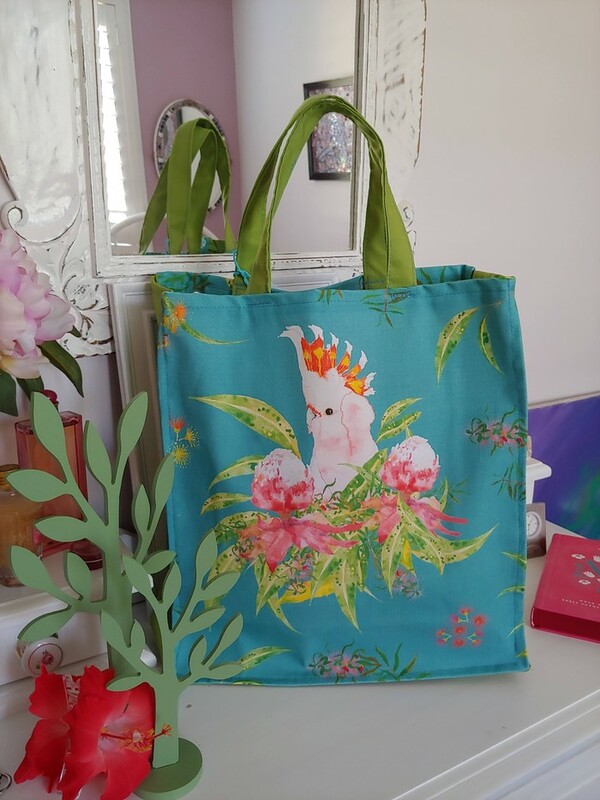 The fabric design is created digitally from Tiffany's watercolour paintings. The bag has avocado green side and bottom insert and handles. 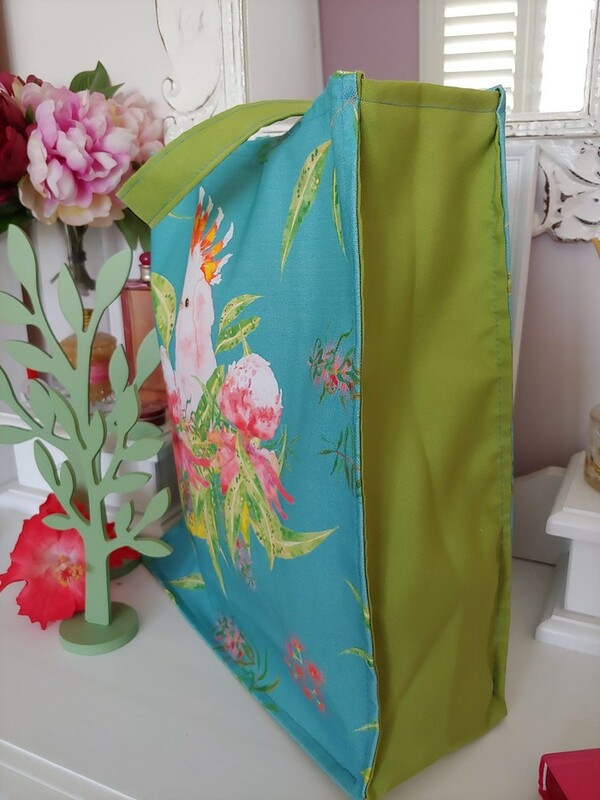 Bag measures 37x35cm plus handles and is 11cm wide.